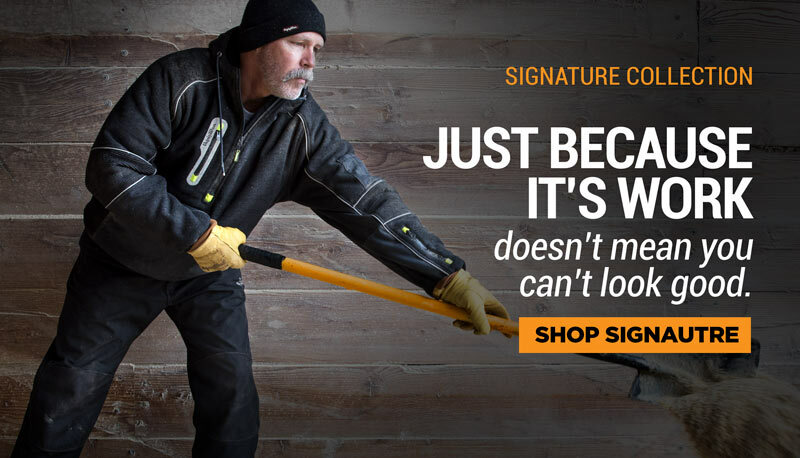 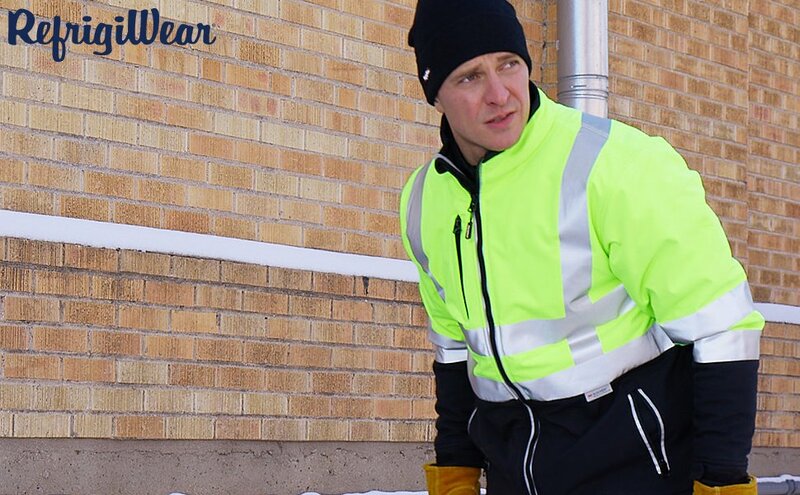 The HiVis Softshell Jacket provides seriously comfortable warmth with 6 oz. 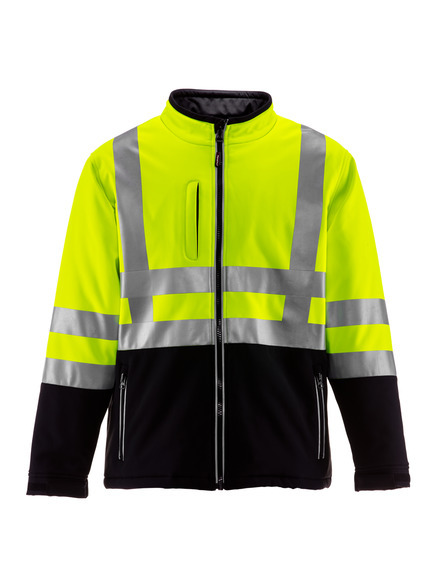 synthetic down insulation and a super-soft sateen reflective lining in sleeves and torso to retain body heat. 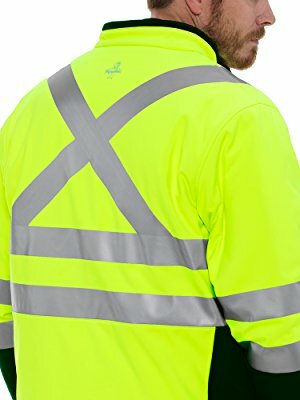 The outershell is durable, wind-tight, stretchy and water-repellent, with HiVis color and Scotchlite™ reflective tape for enhanced visibility in low-light or limited-sight environments, including the enhanced safety of the new X shape on the back to indicate direction. 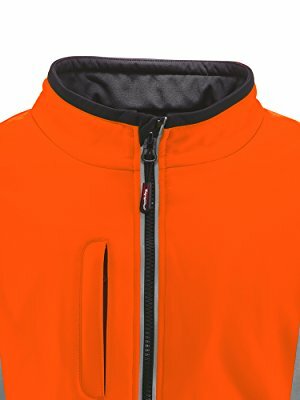 The tunnel collar of the HiVis softshell jacket prevents zipper chafing, and soft Velcro wrist tabs and draw cord hem seal out the cold. 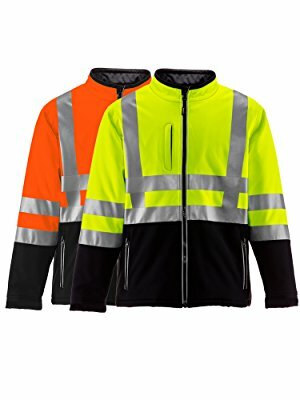 Offered in both HiVis Lime and HiVis Orange, the jacket features stitchless bonded 2” 3M Scotchlite reflective tape on the arms and body. 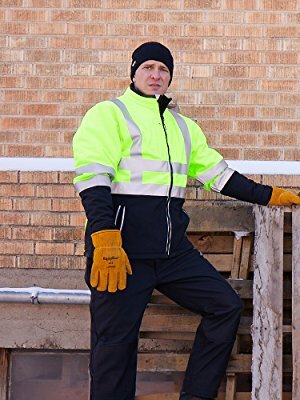 The jacket is ANSI Class 2 compliant and CSA Class 1 Level 1 approved. 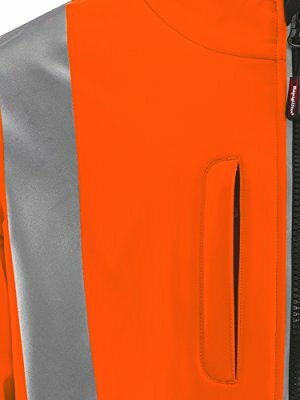 The X-Back safety feature allows those around you to know when you are facing them or facing away. 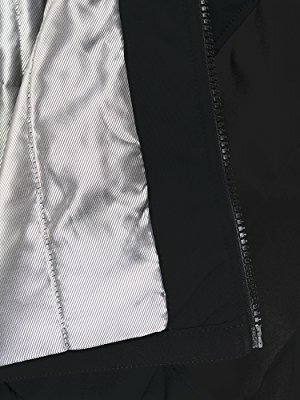 H shape on front indicates the wearer is facing towards the viewer, while the X shape on back indicates they are facing away.